The Wildly funny improv comedy show with major musical performances Nick Cannon presents: Wild ‘N Out returns for an 11th Season on MTV. Two of the show’s stars DJ Young Fly and Justina Valentine are back too - with loads of surprises for their fans. 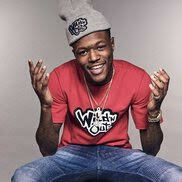 Wild ‘N Out has curated one of the most impressive arsenals of comedians and entertainers in the game over the years. Mike Epps, Kevin Hart, Kat Williams, Mikey Day, Pete Davidson, and DeRay Davis are among those who started as Wild ‘N Out castmembers. Each episode pits two teams, comprised mostly of seasoned vets, against each other in some of the most hilarious, entertaining and sometimes outlandish games seen on TV. Creator and host Nick Cannon will lead his team against a celebrity-led squad and the two teams will try to best each other in ridiculous comic throw downs. These throw downs escalate with each act, all gearing up toward the main event: the “Wildstyle battle” to decide who takes home the coveted WNO battle belt. Each show ends with a featured artist performance. DC Young Fly has channeled his passion to entertain into over 4 million followers on social media outlets that include Facebook, Instagram, YouTube and Vevo. He's even been co-signed by comic legends like Kevin Hart. Along with his comedic endeavors, his most recent musical project "Supplying Pressure" was featured on LiveMixtapes.com. DC's work ethic in music has earned him spots working alongside artists like Kevin Gates, B.O.B, TraetheTruth, and super producer Mike Will. Justina Valentine, MTV’s quick witted fan favorite from Nick Cannon’s Wild ‘N Out and The Challenge, is a clever lyricist with a distinctive voice and a knack for irresistible hooks. From her bright red locks to her infectious personality, the MTVstar is an all around entertainer who sings, writes, and is widely known for her freestyling ability. Her newest release, FEMINEM, has garnered much attention for the lyricist as she remixed a number of Eminem’s classics. She also released the Scarlet Letter album which landed on the Itunes top 30 R&B charts, including a feature from her fellow jersey native, Fetty Wap. Their single Candyland played on national radio throughout 2016. Justina has also been seen as a guest host on the relaunch of TRL & her original music has been featured on NBC, VH1, MTV, Oxygen, CW and national TV commercials for brands such as Maybelline. I spoke with DJ Young Fly and Justina Valentine via satellite form Los Angeles about the new season of Wild 'N Out and what they have coming up for their fans.